1.) You didn’t do anything wrong. After having a preemie, it is completely normal to feel guilty, ashamed and terribly afraid after giving birth to a preemie, but It Is Not Your Fault. You might never know Why your baby arrived early and sometimes you have to let go of the Why in order to move forward. 2.) Not everyone is a “baby person” and nurturing is not automatic for every mother, even mothers of full term babies. It’s o.k. if you feel this way; many women do but don’t speak their feelings out loud. 4.) Motherhood can be lonely, even for mothers of full-term babies. Ask for help. When others offer help, accept it. By receiving with openness and grace, you are in fact giving in return. And believe it or not, to show your vulnerability is actually to be at your greatest strength. 6.) Don’t believe everything the doctors tell you. Create your own expectations for your child and don’t allow your child’s potential to be limited by anyone else. Use your voice. Speak up for yourself and your baby. You are your baby’s voice. 7.) Cover your baby’s isolet with a dark blanket. If your NICU is too bright or too noisy, speak up. Your baby will grow and heal best in a dark womb-like environment. 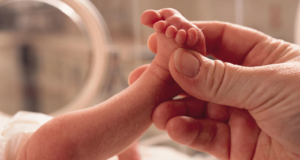 Post-NICU, explore alternative therapies to compliment traditional medical treatments, i.e. Reiki, energy healing, cranial sacral therapy, Brain Gym. 10.) Choose love over fear. It’s the hardest thing in the world to love when you’re so afraid you might lose, but our babies came here to love and be loved. And remember, no matter how bad things get, no matter how lonely you feel, You are not Alone. Someone has walked this path before you and someday you’ll be on the other side sharing your story.